EMU Australia’s rain boots for women are waterproof, insulated, and perfect for keeping your feet dry during the rainy season. All of our rain booties are made with natural materials, including 100% real Australian sheepskin for added style and comfort. Practical but never boring, these water resistant ladies’ rain shoes come in a variety of suede and leather styles. Match any outfit with a range of colour options, such as black, grey, brown and navy. 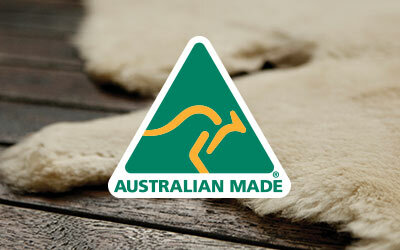 When it comes to keeping your feet dry and safe from the rain, EMU Australia has you covered. EMU Australia ladies’ rain boots are so much more than your average rubber boots. Whether you want rain boots with heels, laces or buckles – look no further. Insulated and super soft, our women’s rain booties are perfect for every season. All of our rain shoes are water resistant or waterproof, with double stitched seams and hard rubber soles to protect your feet from rain and snow. No matter what style you choose, you can count on our waterproof boots to keep your toes warm and dry all year long. Rain boots are a necessity, but they don’t all have to look the same. 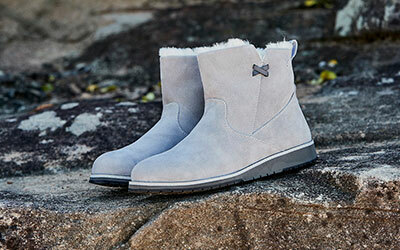 Unlike other rain boots, EMU Australia boots are stylish down to the details. With cute buckles, chic fur and edgy laces, these water resistant boots are anything but boring. Choose from a wide selection of leather, suede, and 100% real Australian sheepskin wool lined rain booties to keep your feet protected and stylish all year round. Like all EMU products, our waterproof rain boots are made of high quality natural materials so you can feel good about your purchase. Our rain boots come in a variety of styles that go perfectly with many different outfits. Find booties in classic colours like black, grey, brown, red and blue, or choose a bolder look with silver, gold, metallic and pink. Rain boots have never been so versatile. Our heeled boots go great with a party dress, while our lace up boots are perfect for hiking and walking outdoors. EMU Australia boots are designed to withstand ice cold temperatures, but the breathable sheepskin material means you can wear them during the warm summer months too. Wherever you are, there’s nothing worse than being caught in the rain wearing the wrong shoes. Like what you see? Shop online and get free shipping with your order, or use our store locator to find suppliers near you.